U of Oregon Duck, 1963-1967 ( ran track for Coach Bowerman ). Personnel Management and secondary level teaching certificate. USAF, 1968-1972 ( Commander of Titan II Missile Combat Crew ). 1972-1973, Graduate School U of Oregon. 1973-1985, Ontario, Oregon. Real Estate and Insurance business. 1985-Present, Walla Walla, Wa. Finance and Real Estate business. Sales Manager, Real Estate School, Teacher, Counselor. Investments. From athletic to athletic supporter ( Ha !! ). Walla Walla Community College sports fan. Wife Sandi, from Library Director to Vice President of Instruction at WWCC. A was a young guy who just liked to play sports. I had a hero or two when in Jr High - Bob Hale, Gary Pearson, Terry Baker. Who knew that when I got to Sr High, I would get to play sports with them. I didn't know what to do with girls, so when didn't know what to do next, I just gave up and went back to whatever the game was the next weekend. (I've had much better training since college and still get instructions, but I do get a bit better with my training ). Now using facebook, I have a great time visiting with classmates ( who I still remember since my head is still here often ): Charli, Tom, Bob, Jerry, Zoe Ann with email, and others. Hello to everyone from the "younger" quiet, shy one. Earl Blackaby (OHS Class of '63) posted a message. Earl Blackaby (OHS Class of '63) has a birthday today. 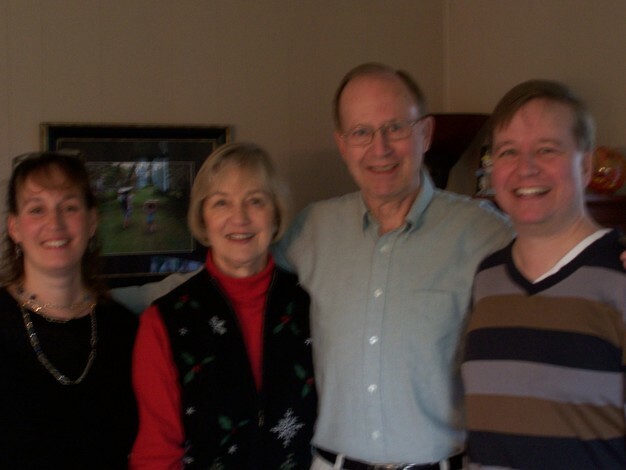 Earl Blackaby (OHS Class of '63) added a comment on Profile. Happy Anniversary of the day of your birth - Have a Happy Birthday Week!! Earl Blackaby (OHS Class of '63) posted a message. New comment added. Happy Anniversary of the day of your birth - Have a Happy Birthday Week. With my rascal girlfriend Sandi in my backyard before heading back in the Fall to U of O. Freshman year got to run track for U of O until leg injuries stopped me. Then needed help to find girls. Had a blind date with a girl who usually had a date. My fraternity brother helped me with a date of Friday the 13th of Nov, 1964. Number 13 is now a lucky number for me. That's me standing beside Stage I of the Titan II missile, my crew and I babysat one while at McConnell AFB, Wichita, Ks. This was the day on the base to show the TAC planes including the B-52 and our SAC missile.